You'd best use those fangs that you've got. 'Cause blood doesn't taste good when it clots. 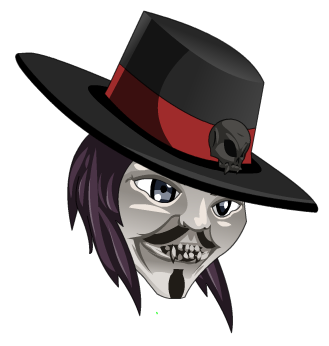 This item is a parody of the character V from V for Vendetta. Previously called "V for Vampire Mask Fangs". V for Vampire Red Fangs. Thanks to Ryzaa and Xia.